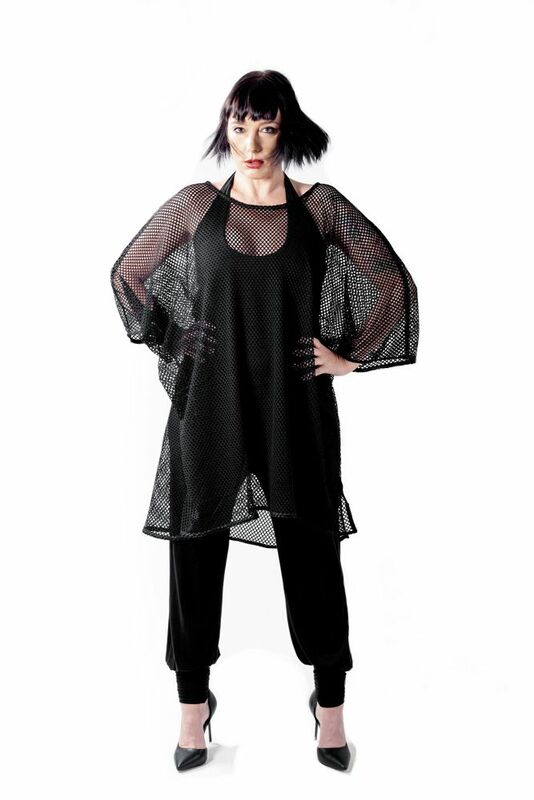 Beautiful thin, transparent tunic made from a polyester fabric available in one size. Ideal for over your swimsuit or wear it together with a legging underneath. Designer note: When I saw this mesh fabric I knew I would love it as a tunic over a bathing suit. What I did not know is that it is also very nice to wear over a legging or jeans. This tunic is made of a lightweight 100% polyester stretch fabric with holes. Machine wash at 40 degrees. Do not iron. Do not tumble dry. Pictured is a one size. This means that this specific design is suitable for everyone with a size between small and xlarge. You can find more information about the dimensions in our size guide.